There are IT companies which don’t publish their geographical coordinates on their websites, and only use a web contact form. They often offer excellent quality services and normal customer support, but the users don’t have an idea where the company is registered. It may be harmful for customer satisfaction and to overall firm’s credibility. What can be done to solve the problem, with due respect to corporate confidentiality policy? Our answer is registration in Wirtland. 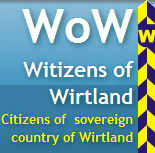 Wirtland is the world’s first internet-based sovereign country. 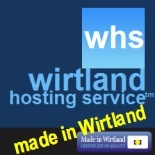 A Wirtland address is original and secure. Registration is completely legal (more info: http://wirtland.agilityhoster.com/legal.html). Legally, it’s similar to registration in a real country like Northern Cyprus, but is much more fun. Some countries already consider diplomatic recognition of Wirtland, see http://tinyurl.com/7r6m9p. For partner company, a Wirtland address is a logical answer to questions about location, as it’s natural for IT firm to be registered in internet-based country. Wirtland address also adds to company’s visibility, as each partner gets press coverage and extra space in Wirtland’s sites. For Wirtland, registration of businesses is an important way to become self-sustainable. We will form a network of companies registered in Wirtland, which will help to expand professional contacts between members. Wirtland will also issue its quality certification label. With time, “Made in Wirtland” label for online services will be like “Swiss Made” for watches! Possibilities to earn money in Wirtland: employment, services offered, business ideas, funds transfer, insurance. The first product of the Bank of Wirtland is ”Wirtland Crane” coin. If you bought a coin, you became a contributor to the Bank because the premium (difference between prices of gold and coin) goes to Bank. Discuss the coin, suggest new products here. New members are welcome to register and interact. 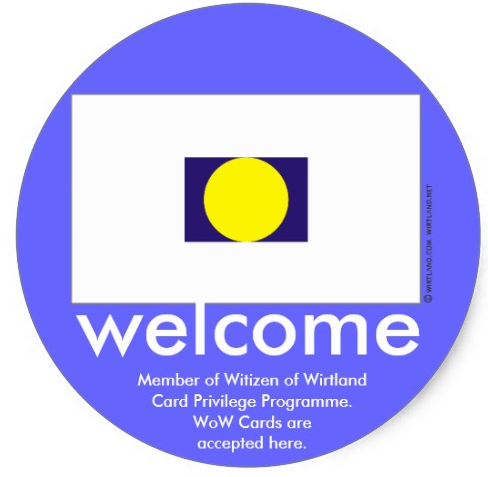 Good news, friends: Finally our Witizens of Wirtland (WoW) network is starting to be fixed! Feel free to register and test WoW 2.0! In the WoW 2.0 we will be adding new functionality. It will be available to registered members. For example, now you may see possibility to use Twitter directly from your member page. Feel free to test, and report how the new functions work. And your suggestions and ideas are welcome! Also, we really need to raise funds to cover the network refurbishment and other current costs. So, if some of you could donate 5 or more dollars now (use PayPal Donate button), we would appreciate. You may also consider placing a banner ad. Thanks in advance, and welcome to WoW network!